Chevy was recently named J.D. Power's most-awarded brand for 2017, with the auto maker receiving nine awards in one year for its cars, trucks and SUVs. Chevy was recognized with the award during last month's J.D. Power Automotive Summit held in Las Vegas. In 2017, Chevy won J.D. Power's awards for Vehicle Dependability, Initial Quality and APEAL Studies. 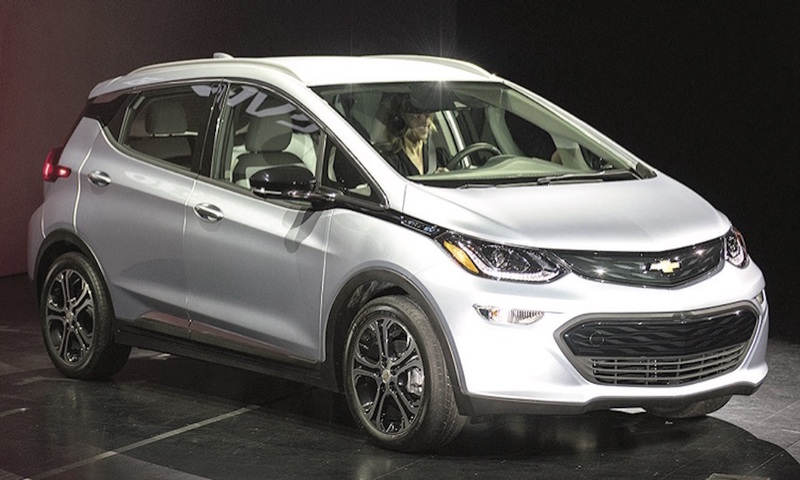 "Chevrolet is winning with consumers because our designers, engineers and dealers are focused on delivering great products and a great ownership experience," GM North America President Alan Batey said in a statement. "This recognition from J.D. Power shows Chevrolet's strength and underscores the momentum we have across the board." Chevy was also recognized in J.D. Power's 2018 Customer Service Index and the 2017 Sales Satisfaction Index Study. According to Chevy, the surveys include feedback from 28,000 to over 70,000 customers. The Customer Service Index measures customer satisfaction for maintenance or repair work with owners of 1- to 3-year-old vehicles. The Sales Satisfaction Index measures new vehicle purchase experiences. The J.D. Power Awards included Chevy's Sonic, Camaro, Tahoe, Silverado, Silverado HD and Bolt.